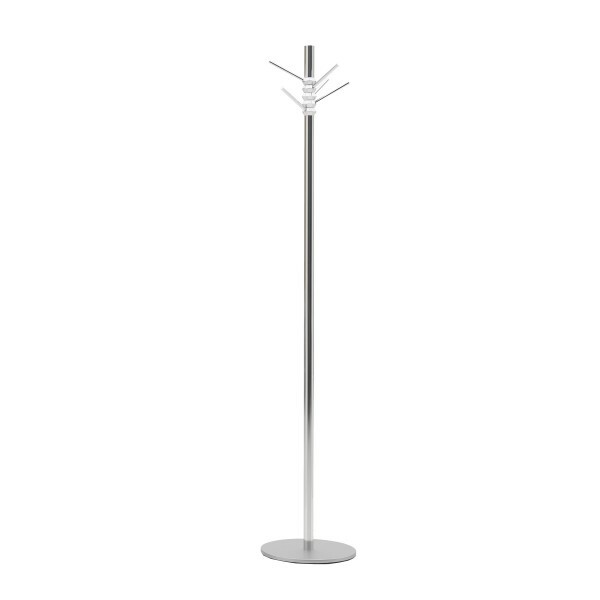 A clean, modern coat stand in silver anodised aluminium, the Legaro has a brushed finish, is heavily weighted in the bottom for sturdiness and 5 hooks in total for hats, jackets, coats or bags. Perfect by your front door or in your bedroom. 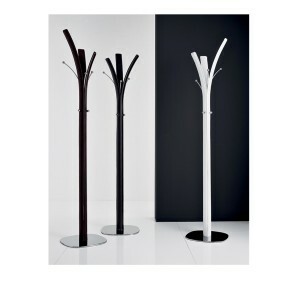 A coat stand with a clean, contemporary design perfect for inside the front door in modern homes. The Legaro coat or hat stand consists of 5 well spaced hooks, ideal for coats, scarves, bags, hats or towels. The base is well weighted for stability. 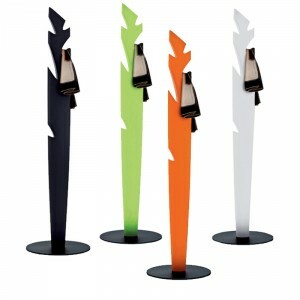 Ideal to place by your front or back door or in your bedroom or dressing room. 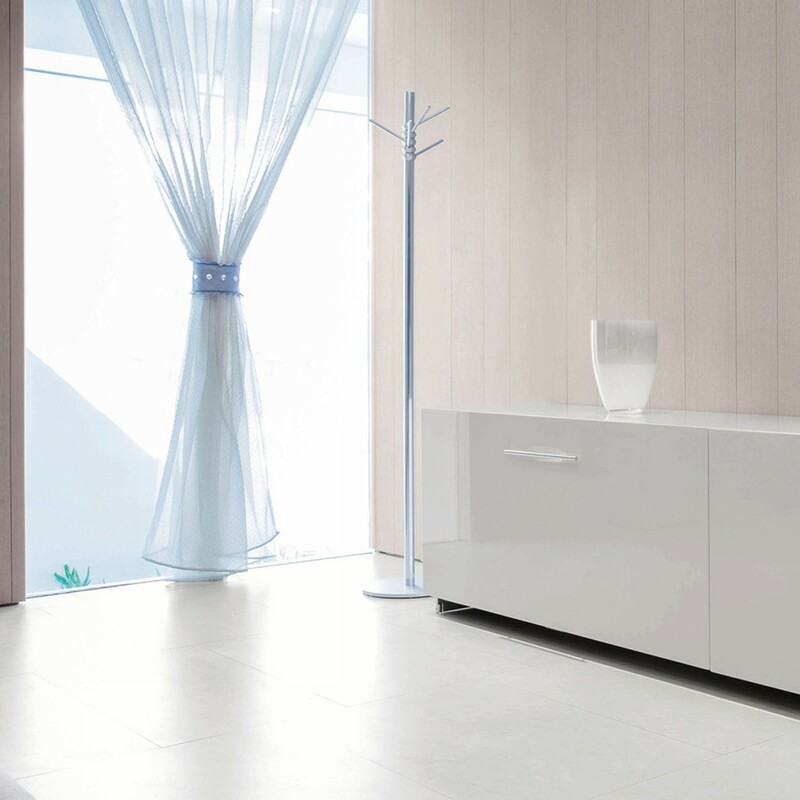 The clean design is sculptural and minimalist so it looks good with or without items hanging on it. This item is made to order, delivery will be within 10-12 weeks.